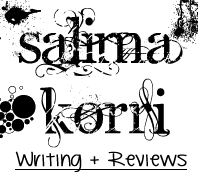 This Week On Around The World I Have Salima from Reviewing The Writing on the blog! 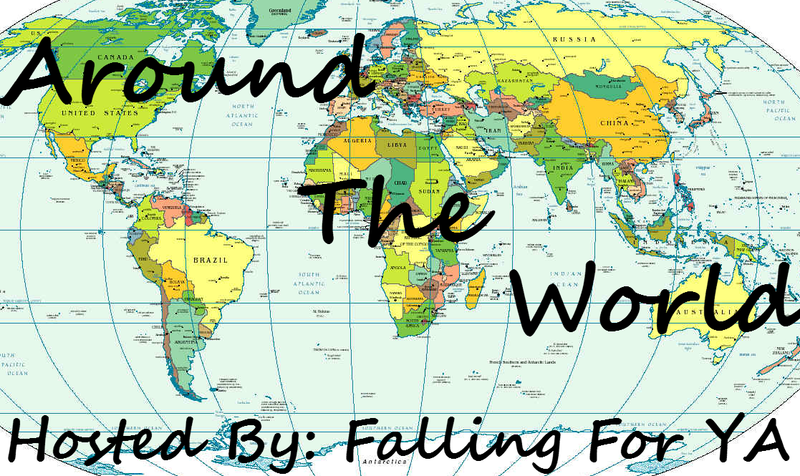 Where are you from? I was born and live in London, United Kingdom but my mother is French and father Moroccan so I have some cool bloodlines going along. What is the best and worst thing about living in London? The best thing about the London is that we have the Royal Monarch. I love visiting Buckingham from time to time because the landscape and palace is beautiful. Also, the UK is a multicultural country so it offers a lot from other places so sometimes there’s no need to travel elsewhere! But the worst thing is the weather; that’s what we’re famous for. One day completely boiling and off the charts and the next freezing and snowing. What is the biggest challenge of being a book blogger in the UK? The most challenging thing about being a book blogger in the Uk, is that you don’t have a lot of book blogger friends. 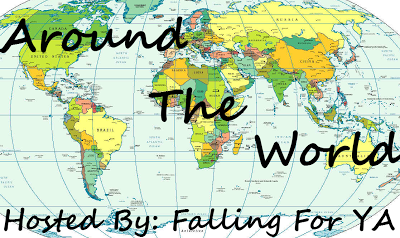 Most of my book blogging activity is related with people all the way in the US but the Uk is so small that you don’t know who is a book blogger. Even book conventions and author signings are so rare that you have to quickly take the opportunity; sadly I missed the Lauren Oliver book signing event since it was a school day! Are you able to go to book signings, launches, or industry events? If the book events aren’t on school days I do go! I’ve only been to three so far but they were awesome. I got all my books signed from Maggie Stiefvater, Karen Mahoney and CJ Daugherty. Since I self publish, I work on my own. But I do get the help from my friends to critique my work and then I’m the one to reach out to the publishers. Fingers crossed I get published some day; I’d love to see my book on the book shelf. Do you have any favorite books set in the UK or written by authors who are from theUK? CJ Daugherty who wrote the Night School series is a wonderful read about boarding school life where a deadly mystery takes place. We also have the famous Enid Blyton and Roald Dahl who are my favourate childhood authors, not to mention Karen Mahoney with her urban fantasy series and Mary Hooper, my all time favourate Historical fiction author, as well as Cathy Glass. Favorite Book (overall): I absolutely love Dead Beautiful by Yvonne Woon. It’s the greatest mystery book about a boarding school and a paranormal element. It’s amazing. Emily: I also really enjoyed this book and no one seems to have read it! Favorite Book Recent Release: My favourate book recently is The Sweetest Dark by Shana Abe. It just came out and I’m so lucky to have the sequel ARC because it’s such a magical and romantic read and again it’s about boarding school and a deadly secret. Author: Such a hard one it’s almost unfair! I have too many. But I can narrow it down to ten: Yvonne Woon, CJ Daugherty, Maggie Stiefvater, Mary Hooper, Karen Mahoney, Amanda Hocking, Lauren Oliver, Julie Kagawa and Lauren Kate. Social Media: Goodreads is amazing because you can really reach out to people who share the same passion as you. International Food: Does chocolate count? Thank you for the photo and essays, it was really interesting. Essays are really powerful things now. Essays and reviews are everywhere. I can't image the modern world without them. That is why good writing resource is a really necessary thing. They can keep your attention or not. To know more secrets of this recently I visited the resource. So much interesting information I know here! Visit www.prowriterscenter.com/ you wonder about essays too.